Friends and acquaintances remember a life well live for a man who still drove a car until giving it up only recently. Curtis Tigard – a long-time Tigard resident, noted centenarian, avid golfer and mole-catcher extraordinaire -- passed away on Wednesday, July 25. He was 109. Tigard Mayor John Cook announced the news on his Twitter account the day Tigard died. 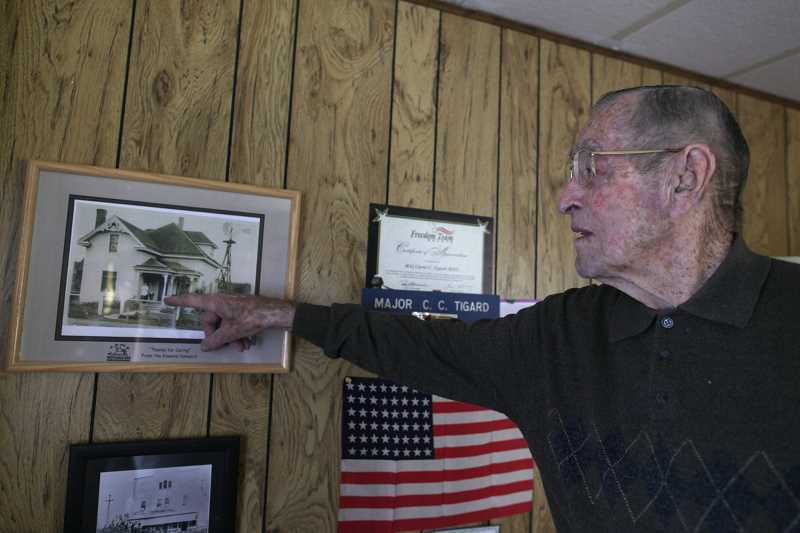 "Curtis was 109 and leaves behind family and countless friends," Cook noted in his tweet. Tigard, whose grandfather founded the city of Tigard, was an active member of the community all the way to the end with the Tigard Historical Society throwing him annual birthday parties, the most recent being in April at the John Tigard House. "You know, he lived a great life," Mayor John Cook recalled last week from Florence where he is attending the annual Oregon Mayor's Association Conference. "What I remember about Curtis, he was so involved," said Cook, pointing out that Tigard had the rare ability to remember everybody's name even as he got older. "He was everybody's friend." Cook said he knew Tigard since he was a child and would see him once or twice a year as he got older. Tigard even surprised Cook during the mayor's inauguration in 2015, saying he wanted to be there to support him. "He was active," said Cook. "Even at 104 he was still driving." Tigard learned to drive in 1918, using his family's Model-T Ford and only stopped driving two years ago when he hung up the keys of his beloved 1997 Oldsmobile Cutlass, according to David Tigard, Curtis Tigard's only son. With only 80,000 miles on the vehicle, Tigard ended up selling his car to an 80-year-old resident of Tigard Royal Mobile Villas, where Tigard himself lived for more than 40 years. "He had a very calm personality and (was) very easygoing," David Tigard said of his father. Of his father's long life, David Tigard quipped, "He had no peer pressure." Martha Worley, a permanent volunteer at the Tigard Historical Association, said she'll always remember Tigard as someone who was very pleasant and always had a big smile. "When David called … to tell me his dad passed, I was shocked," said Worley. 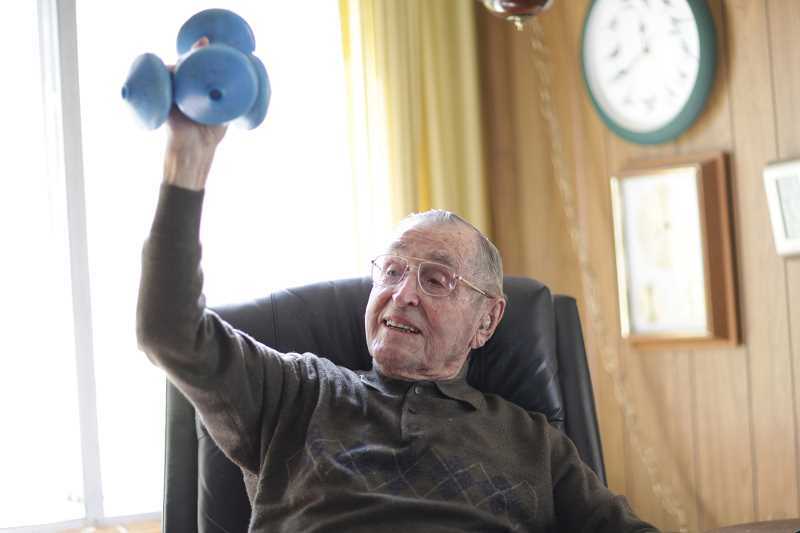 "We had already started to plan his 110th birthday." Tigard was born on April 13, 1909, to Charles Fremont Tigard and his wife, Rosa Hohman Tigard. The city is named after his grandfather, Wilson Tigard. Curtis Tigard's parents operated the Tigardville General Store and later the post office, which at that time was located at Pacific Highway and McDonald Street. He attended Tigard Grade School but since there was no high school in the city at the time he ended up going to Beaverton High School where he graduated in 1926. "He walked to Beaverton High," said Worley, "except in bad weather, he stayed with the Denneys (a pioneering Beaverton family whom Denney Road is named after). On occasion, Tigard would take a cow with him to school, putting it in a pasture during the day and returning with the cow at night, David Tigard recalled. Worley's memory of Tigard included the day Tigard told her that he was the one who planted the three walnut trees – which are now 60 to 70 feet tall – in her front yard. "He said, 'I planted this walnut orchard when I was 18,'" recalled Worley, although she said two of his beloved trees are now dying. Tigard would go on to get a degree in banking and finance from what became Oregon State University and went to work for U.S. Bank until 1940 when he took a leave of absence to join the U.S. Army Reserves, eventually fighting in North Africa and becoming part of the Fifth Army's invasion of Sicily and Palermo, Italy. 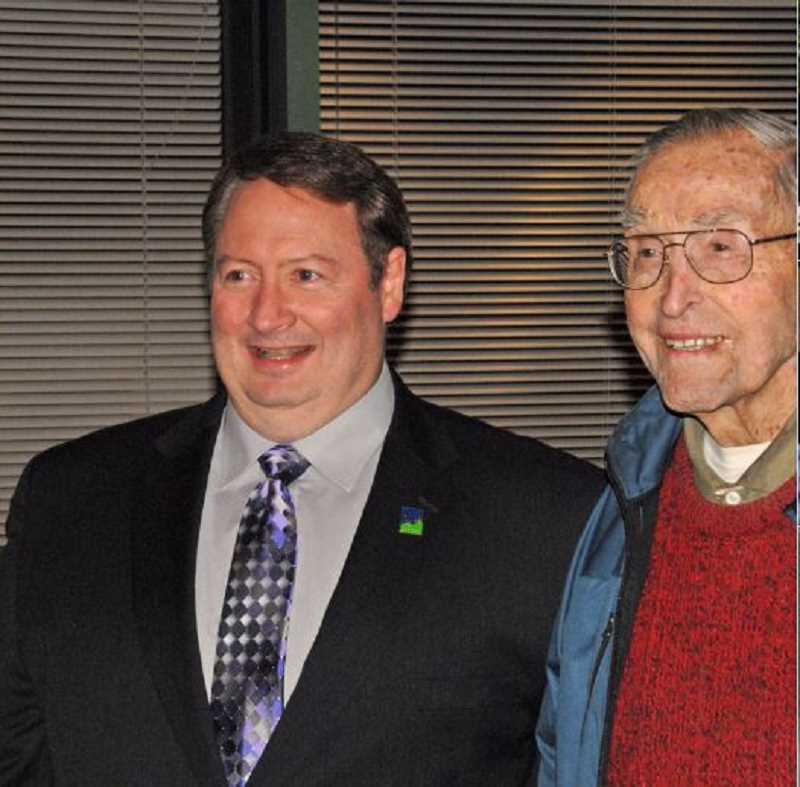 Returning home, he would spend more than 30 more years of his life with U.S. Bank, eventually working as the Tigard bank branch manager before retiring in 1971. He had a lifelong interest in golf and played late into life at the Tualatin Country Club where he often caught moles for the groundskeepers. "My swing's a little less strong, but I still putt pretty good if I can get on the green then I do alright," he told the Tigard/Tualatin Times during an interview in 2010. "I'm so old, and been a member so long, I don't pay dues out there anymore." 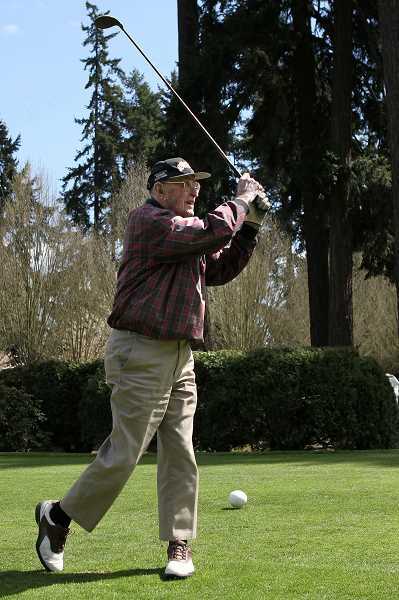 Tigard golfed until he was 103 when a broken leg sidelined him and he never returned to the game. Meanwhile, his mole-hunting prowess was legendary with his son estimating his father trapped 700 moles during his lifetime. It was an achievement Curtis Tigard was proud of. One day Worley said she mentioned to Tigard that she thought she had a mole in front of her home. "He said, 'let's go and get him!'" recalled Worley. The mole was never seen again but Worley joked to Tigard that it was because the moles "knew of your reputation and they took off." Mayor Cook said that several years ago when he would visit his late mother in a local care facility, he would also pop in to see Curtis Tigard, who was re-cooperating from a broken hip in the same facility. The mayor said he was somewhat surprised by a "Do Not Enter" sign on the door of the normally friendly Tigard's room. When Cook asked a nurse about the sign, she said it was simply "because everybody brings him food and he's on a strict diet." Margaret Barnes, Tigard Public Library director said she was saddened by Tigard's passing, stressing he was supportive of the library throughout the years, speaking during its grand opening in 2004. "He spoke about his sister's dedication to education and called the library a stepping stone for an educated society," Barnes wrote in a news release. 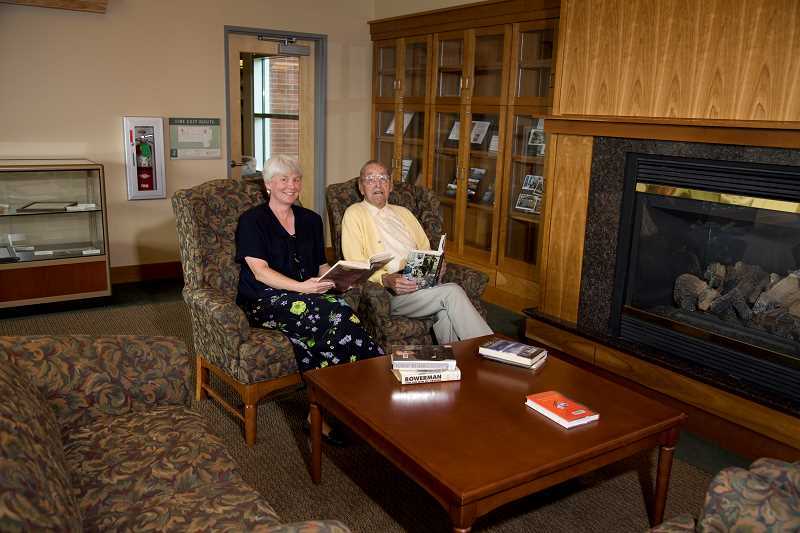 "He consulted with us when we created the Grace Tigard Houghton Reading Room with a bequest from his sister. He was committed to developing a room that paid tribute to his sister. Curtis was a true friend of the library and we will always value his contribution to it." In addition to his son, David, Tigard is survived by two grandsons, Charles and William. In addition to his son, David and wife, Sandra, Tigard is survived by grandsons, Charles and wife, Lynn of Oregon City, and Will and wife, Sandy, of Federal Way, Wash. Meanwhile, donations may be made to Cook Park in care of the City of Tigard. Meanwhile, the historical association's Worley said she will likely now take down the two dying walnut trees in her yard, something she couldn't do before. "I kept them up for Curtis," she said.